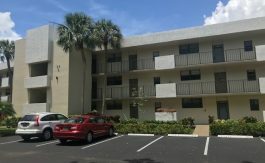 WEEKLY RENTALS AVAILABLE! 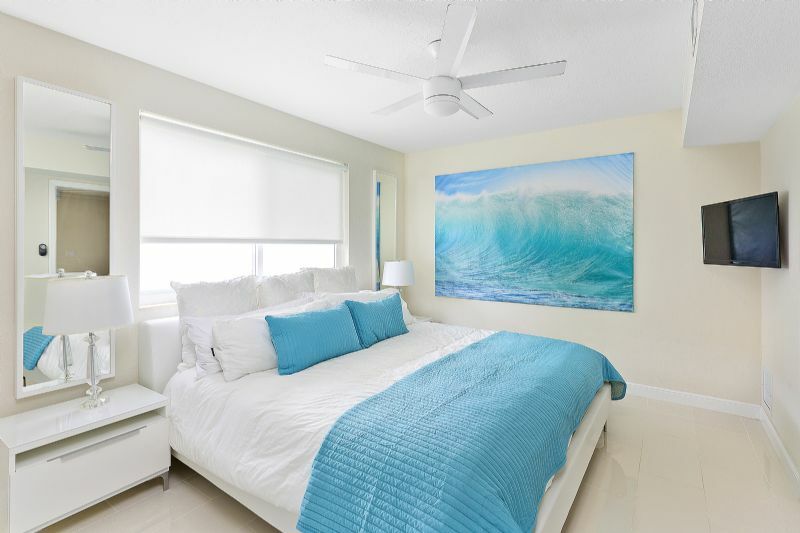 – Sleeps 2-4. 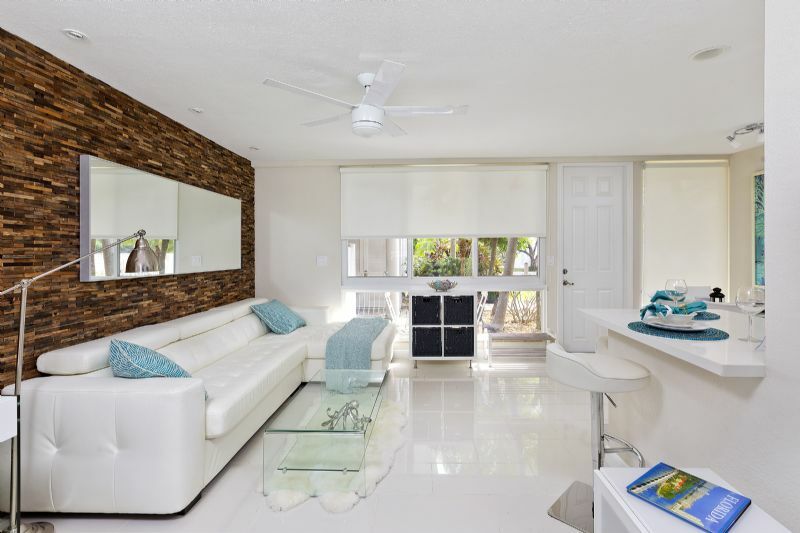 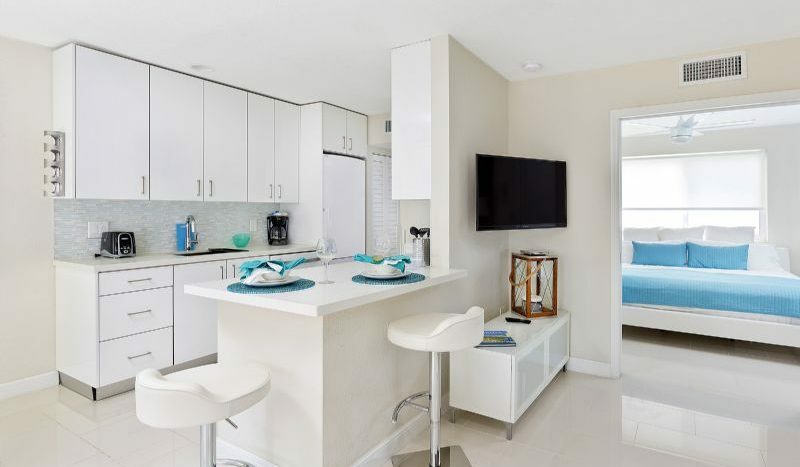 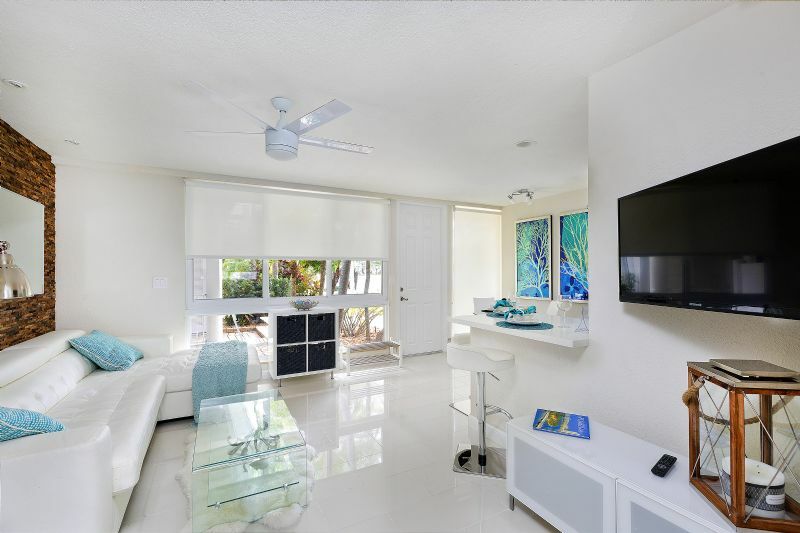 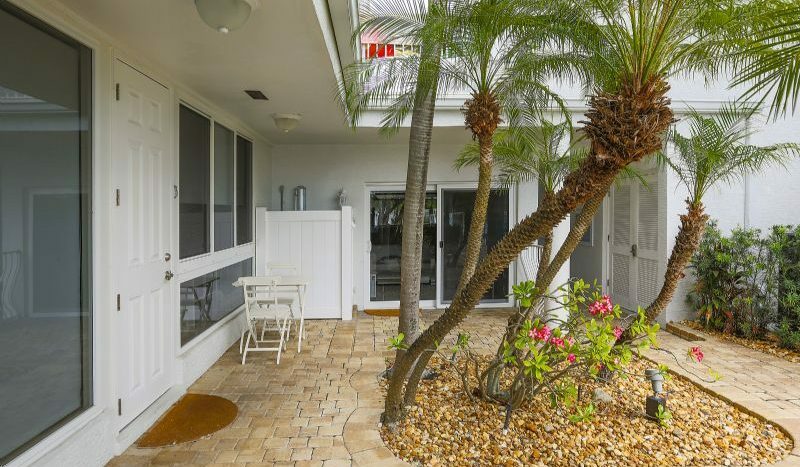 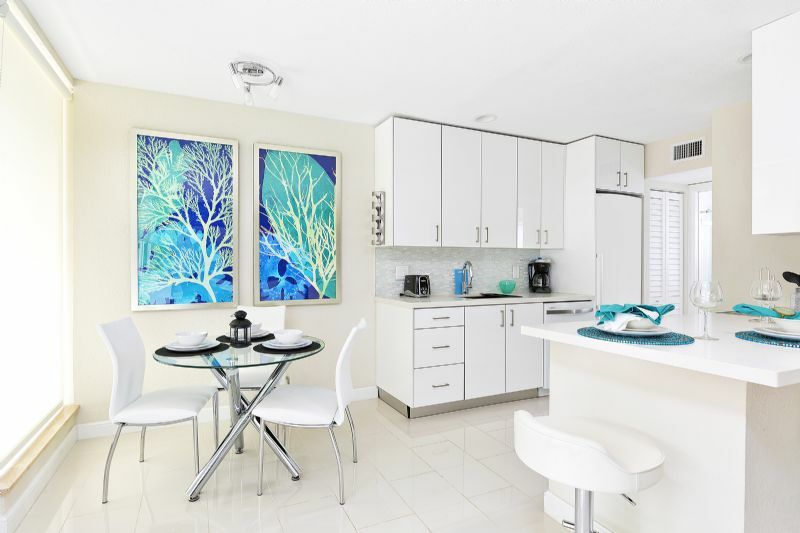 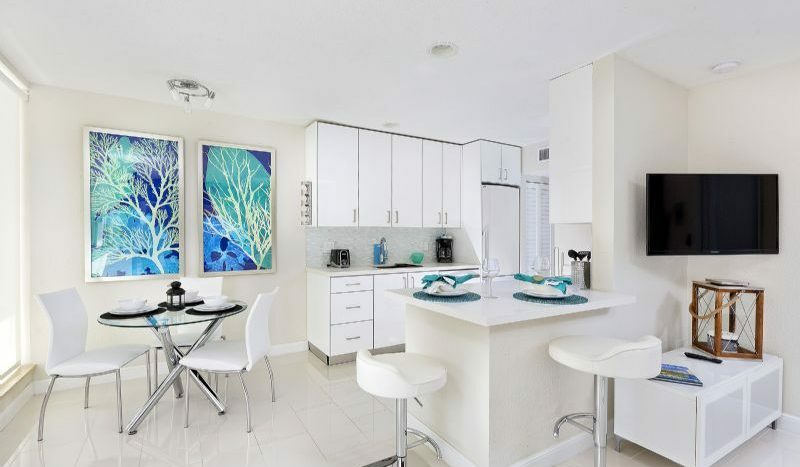 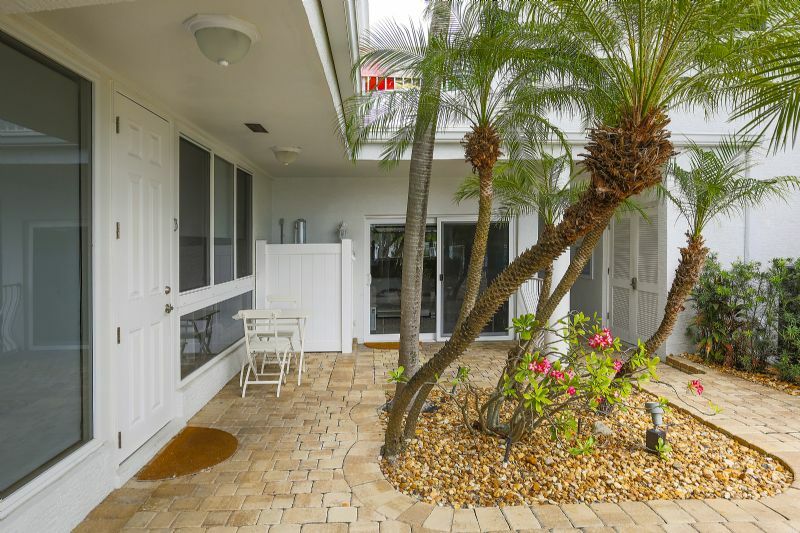 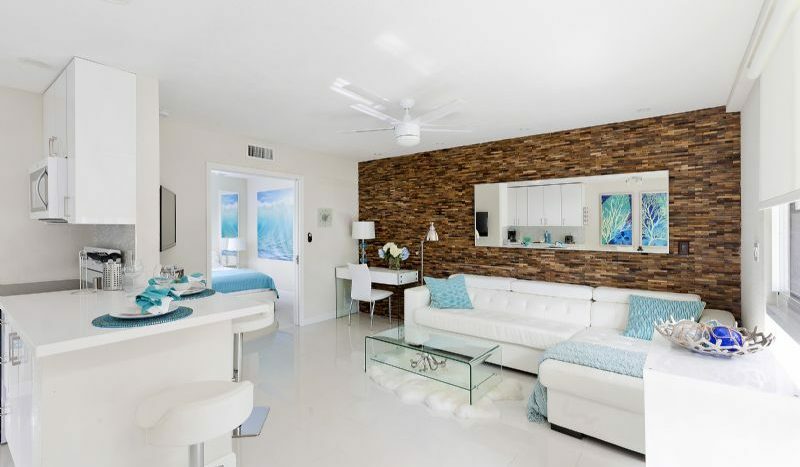 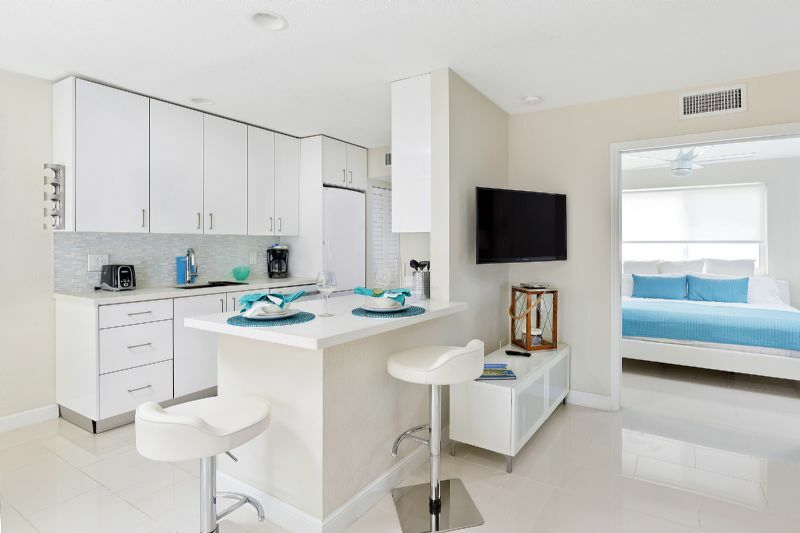 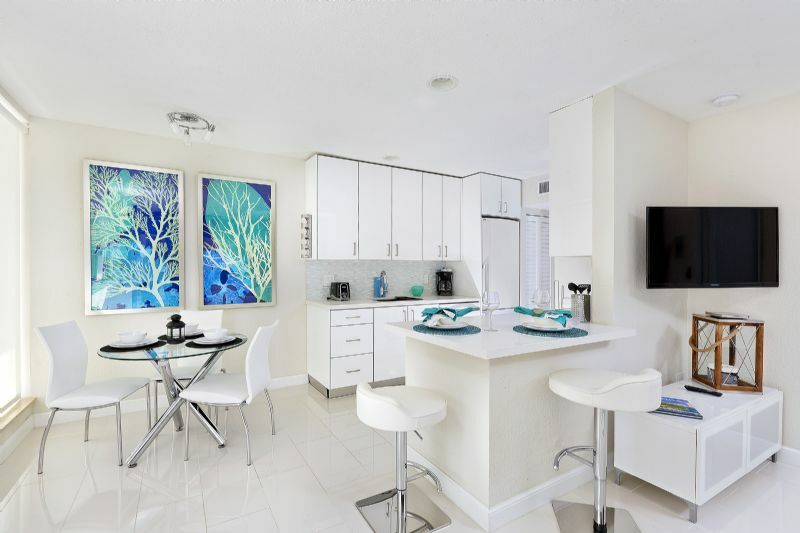 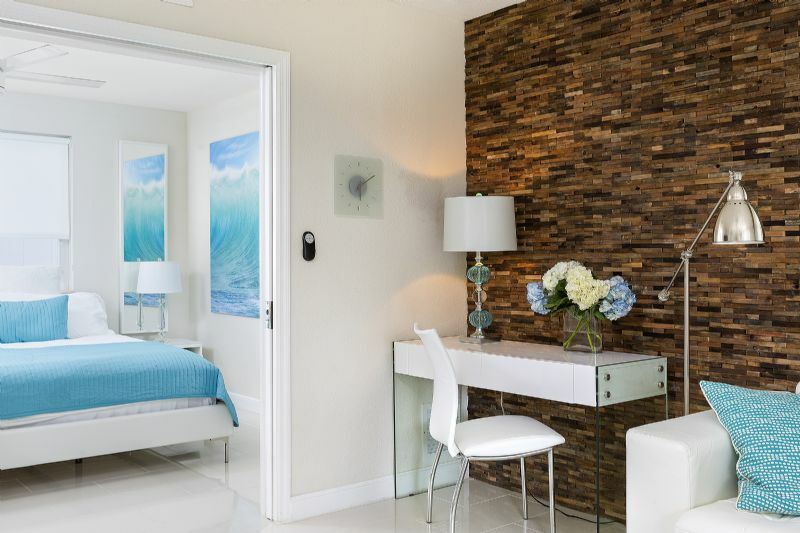 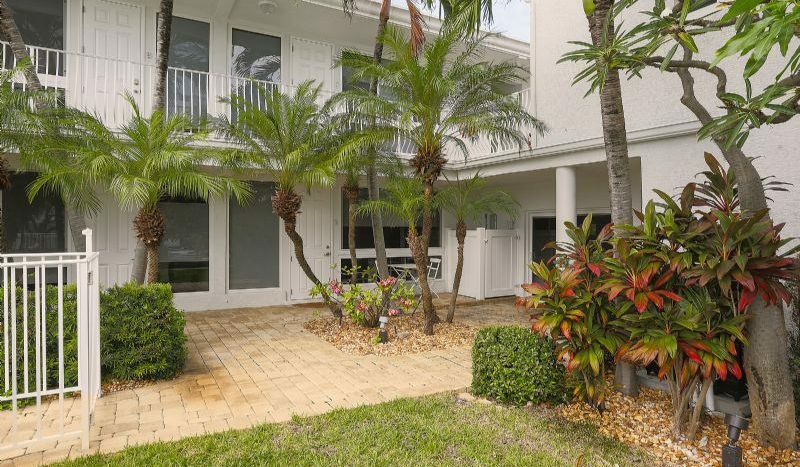 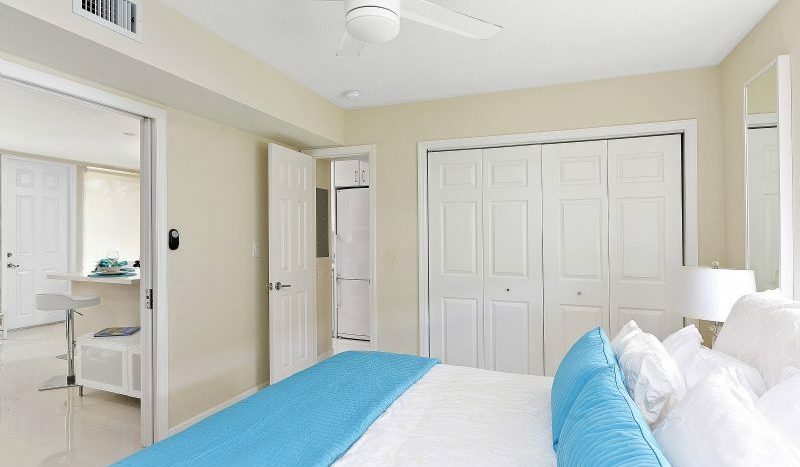 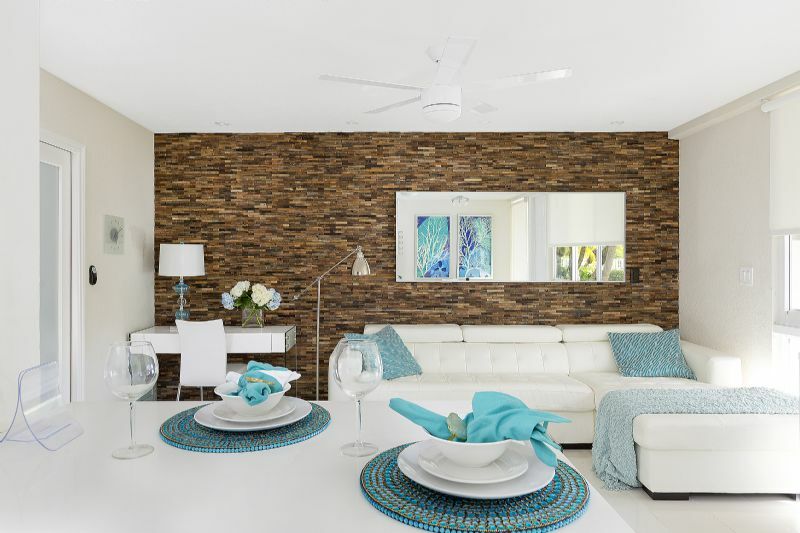 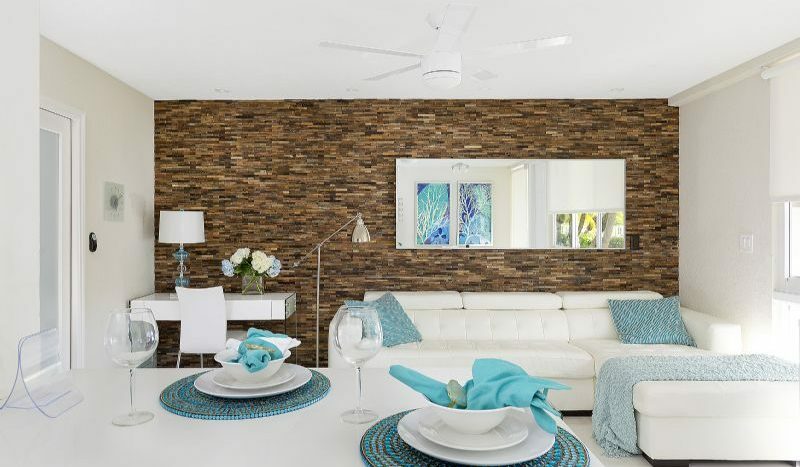 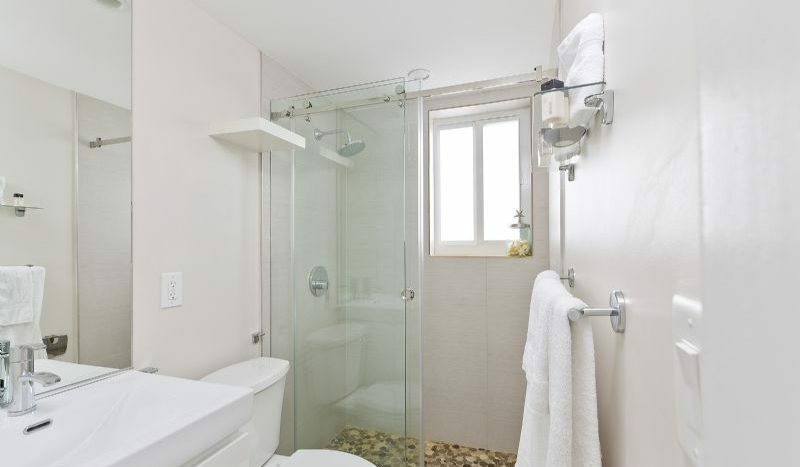 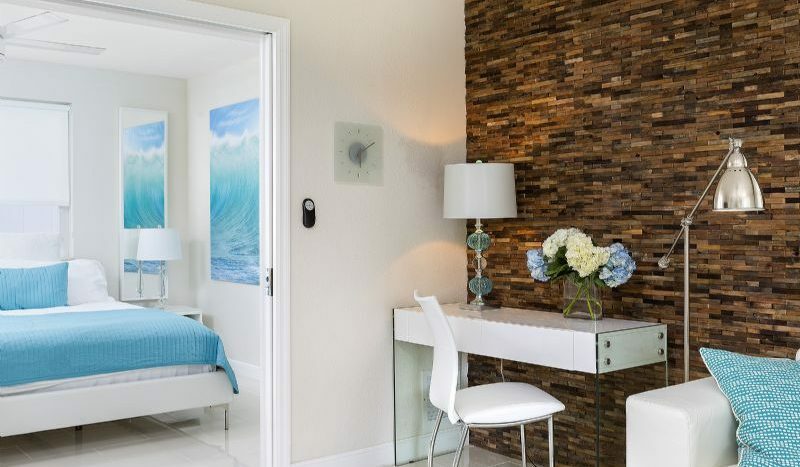 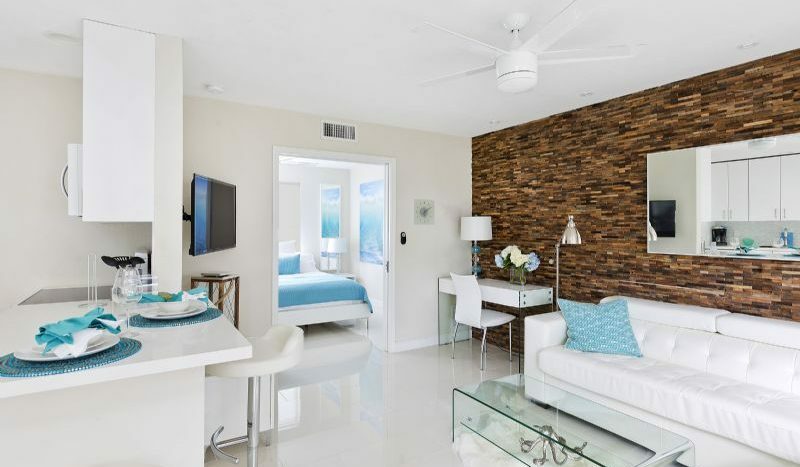 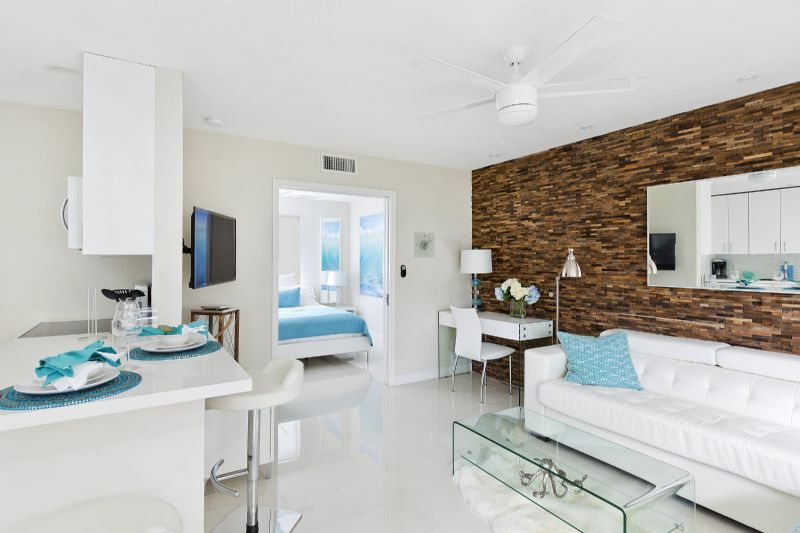 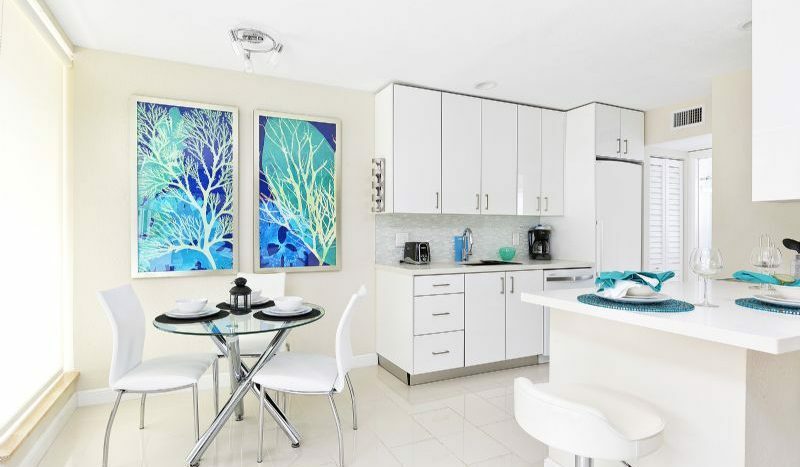 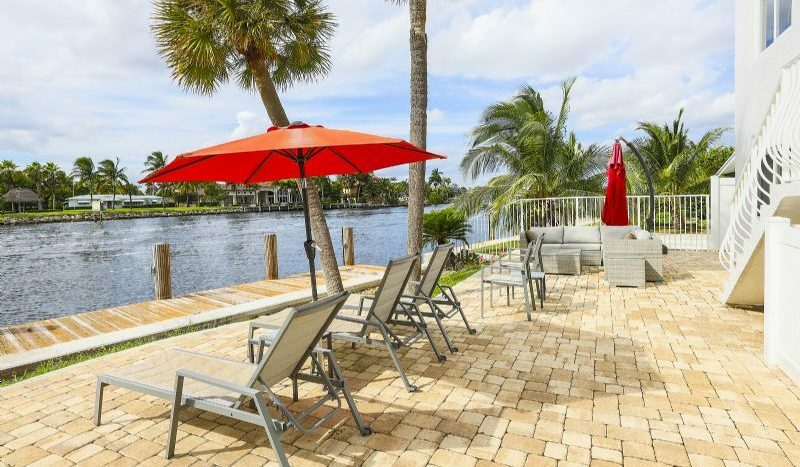 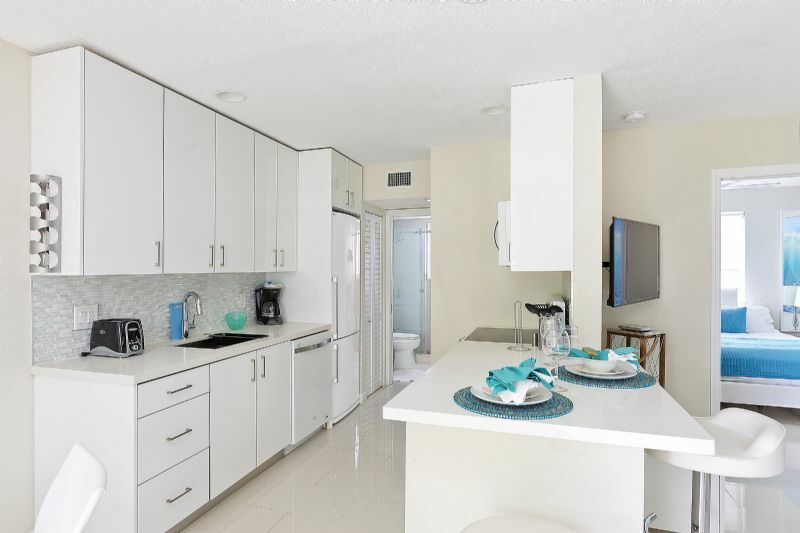 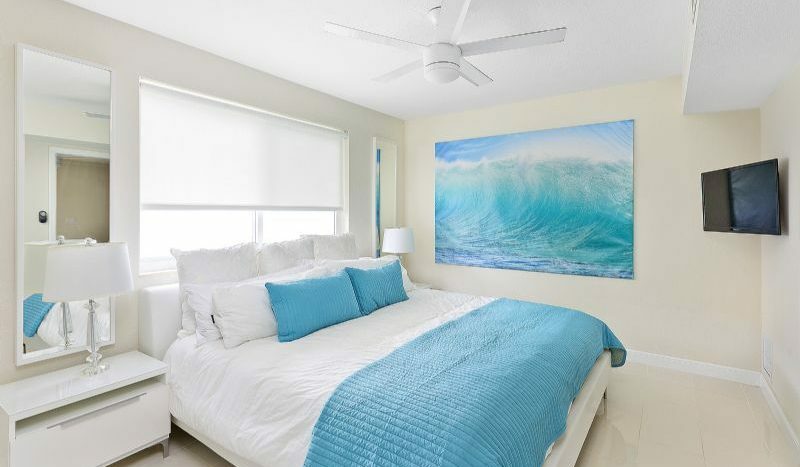 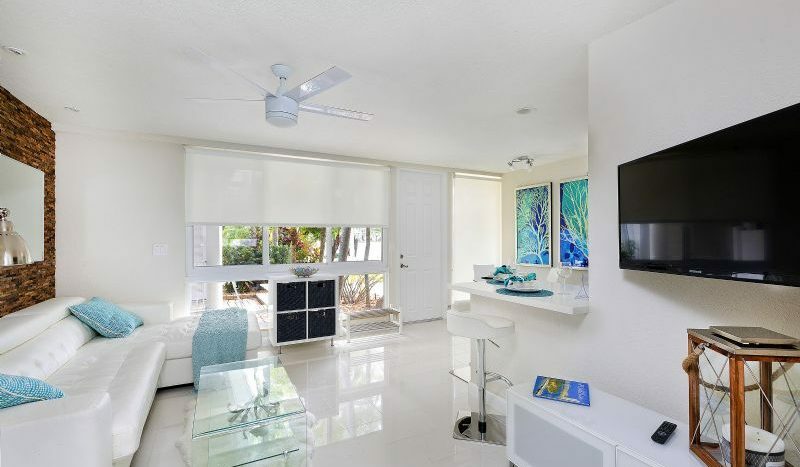 Beautiful, bright and cozy only begin to describe the tranquil delights of Acqua Camino Hideaway in Pompano Beach. 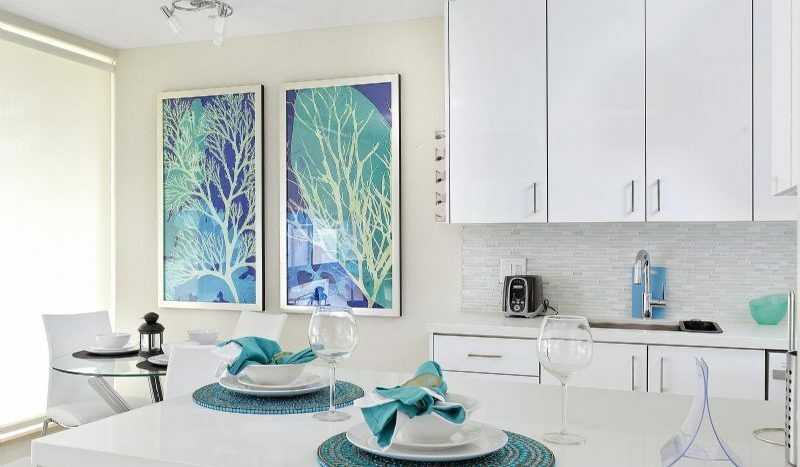 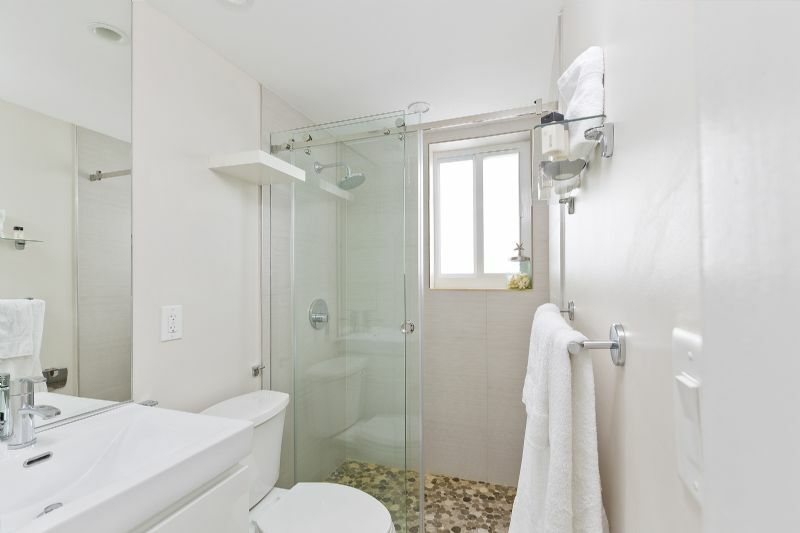 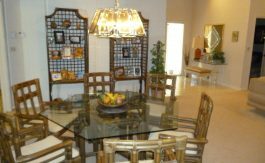 This 500 square feet condominium retreat offers a splendid living space for couples and small families. 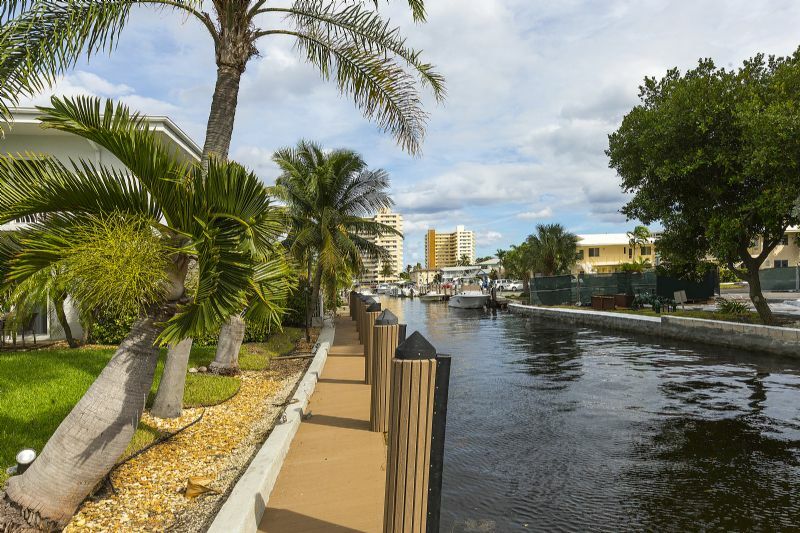 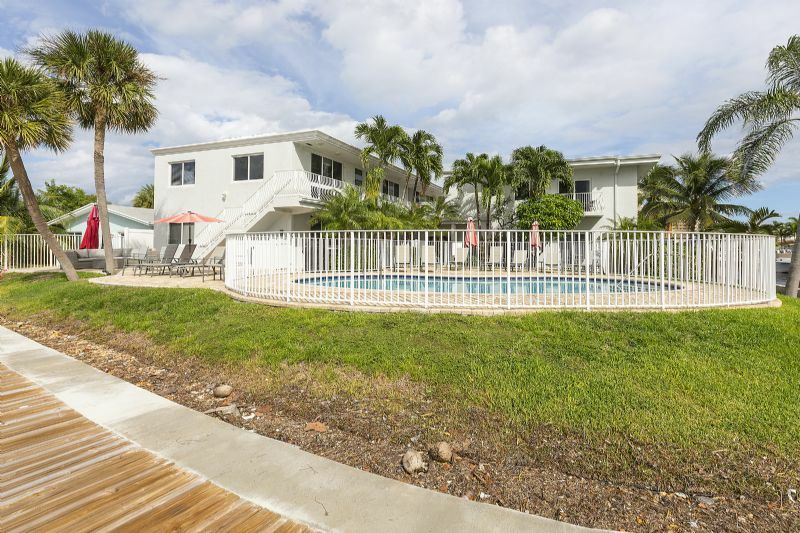 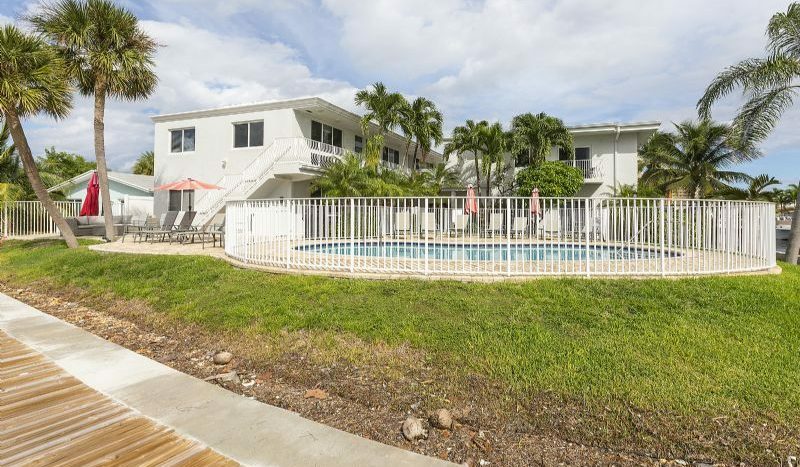 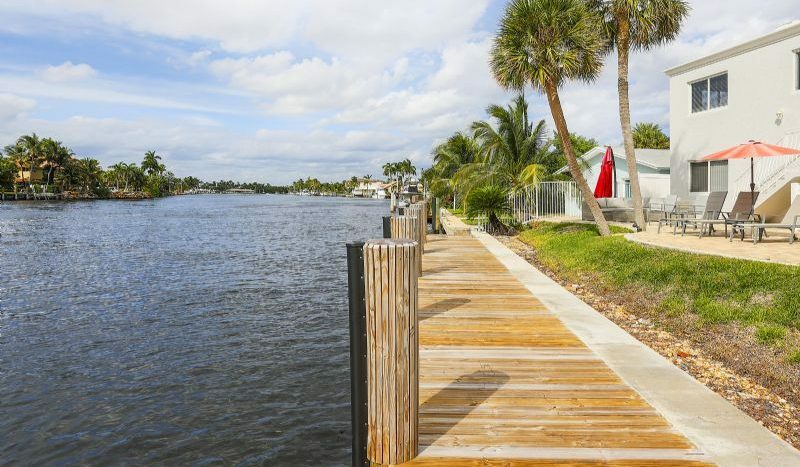 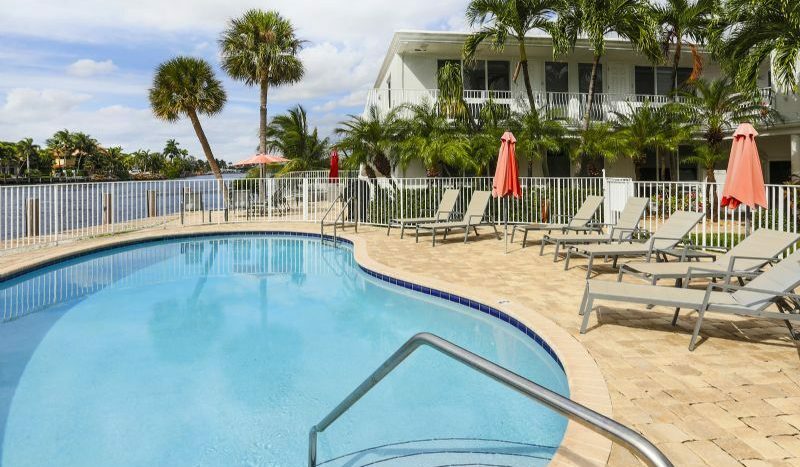 It’s situated directly on the main Intracoastal Waterway and is walking distance from the beach, restaurants and entertainment. 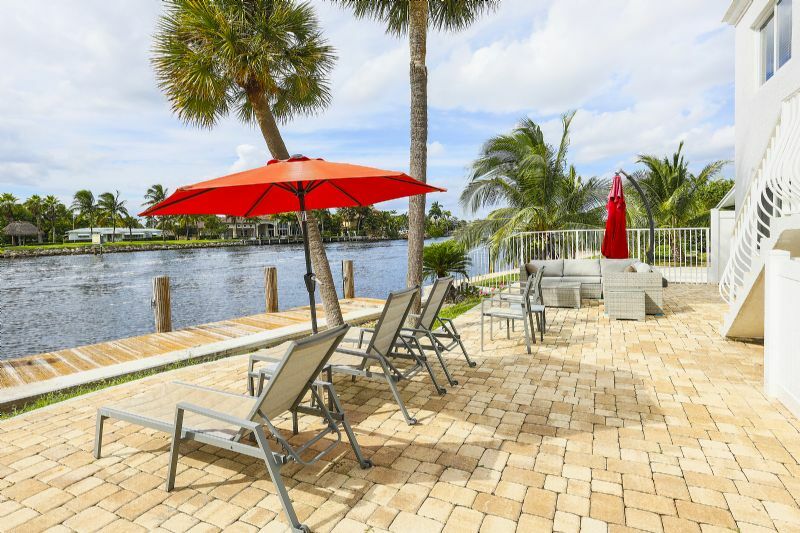 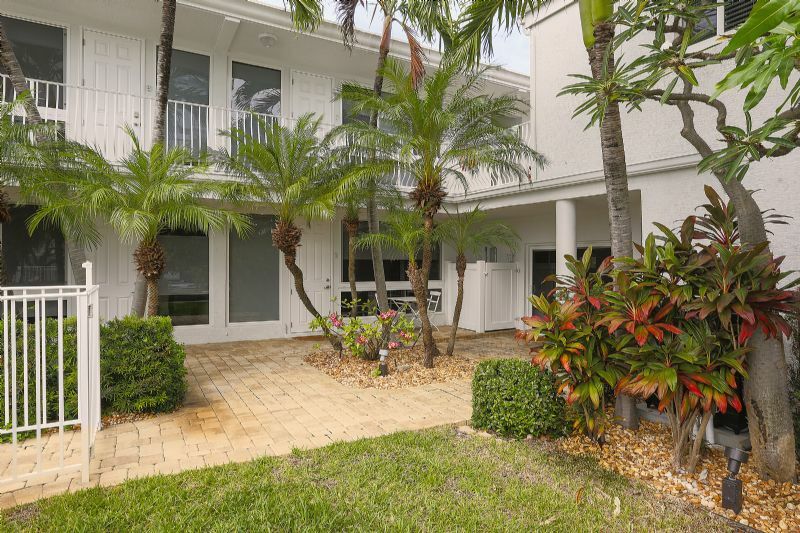 Enjoy tropical scenery and iconic South Florida vistas, within a private gated community optimally located for relaxation and fun. 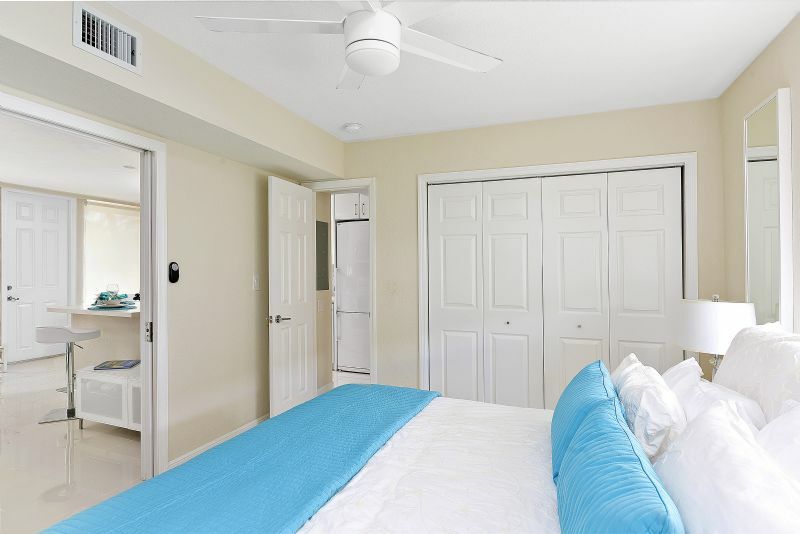 The master bedroom is spacious and comfortable with a king size bed, large closet, adjoining bathroom and flat screen television. 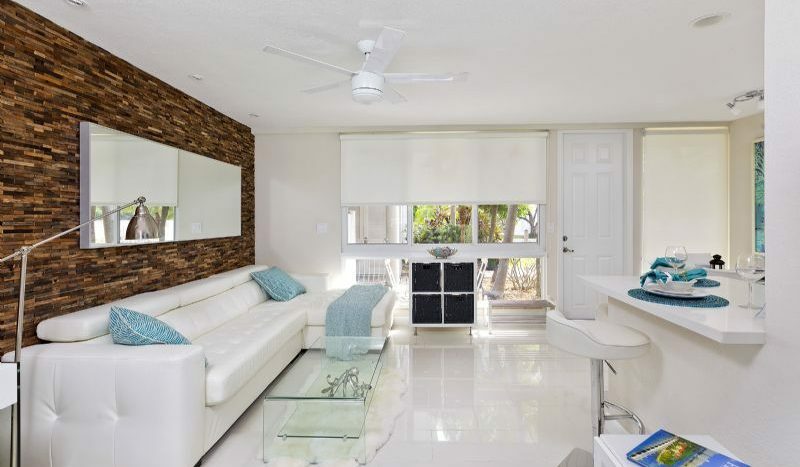 The living room area features a comfy white leather sectional sleeper sofa, a glass-top table, an office nook, and a large flat screen TV perfect for entertaining. 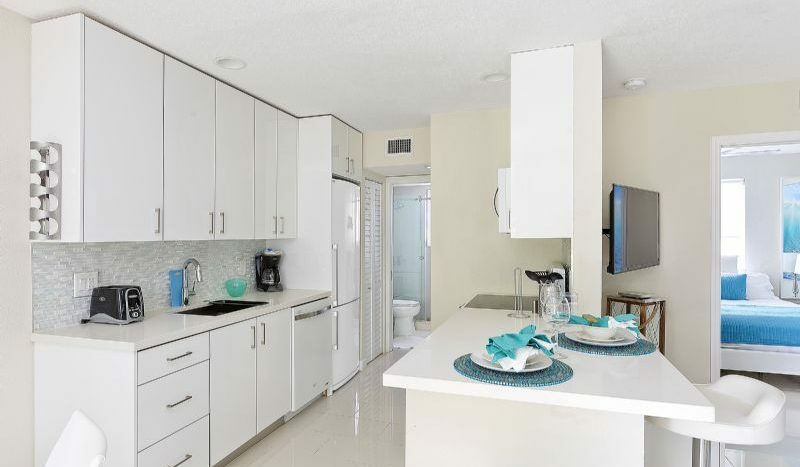 A newly renovated kitchen includes new appliances and brushed metal fixtures. 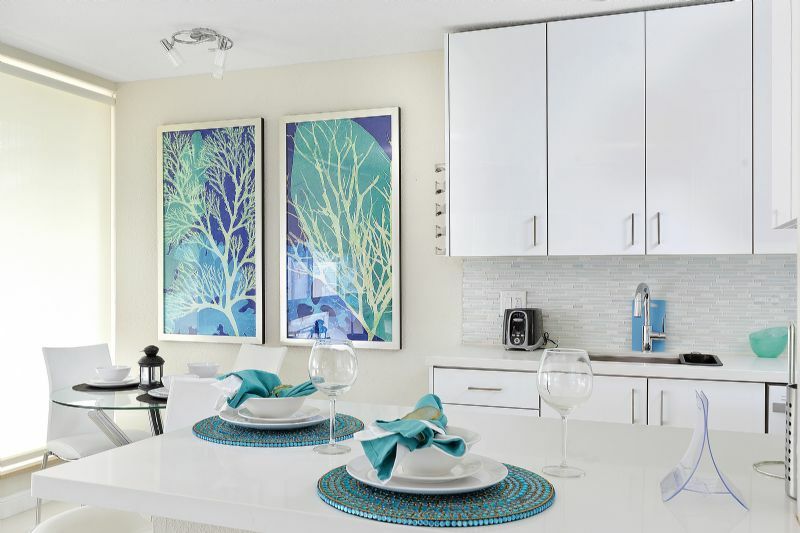 A cozy breakfast bar and dining nook offer a delightful and functional space for meals. 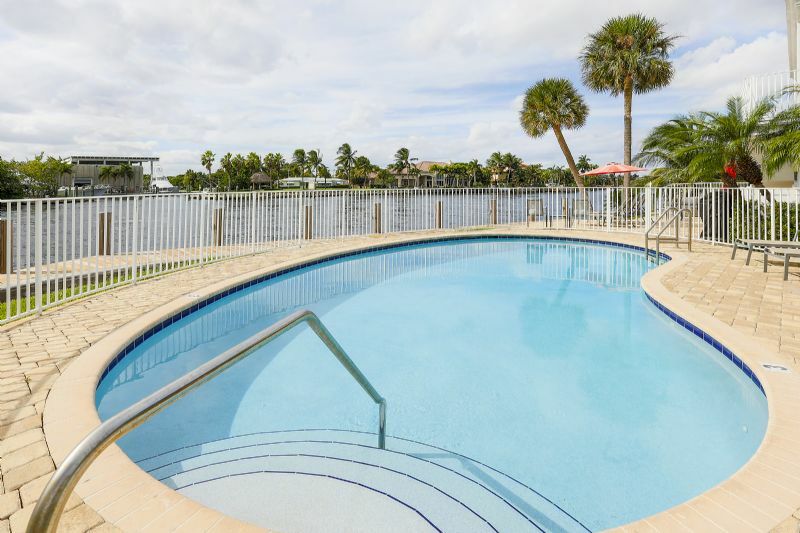 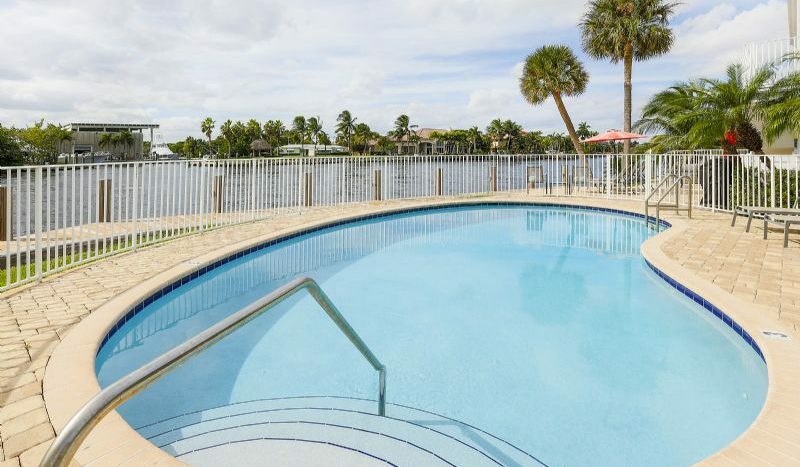 The fenced outdoor pool area is tranquil and attractive, with epic views of the Intracoastal Waterway and passing boats. 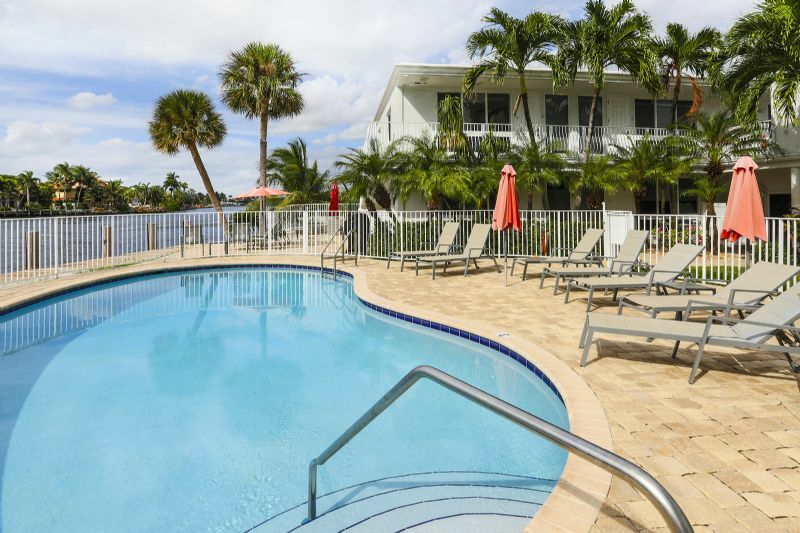 Poolside and waterway-adjacent lounging areas allow plenty of room for sunbathing and relaxation amid palm trees and warm breezes. 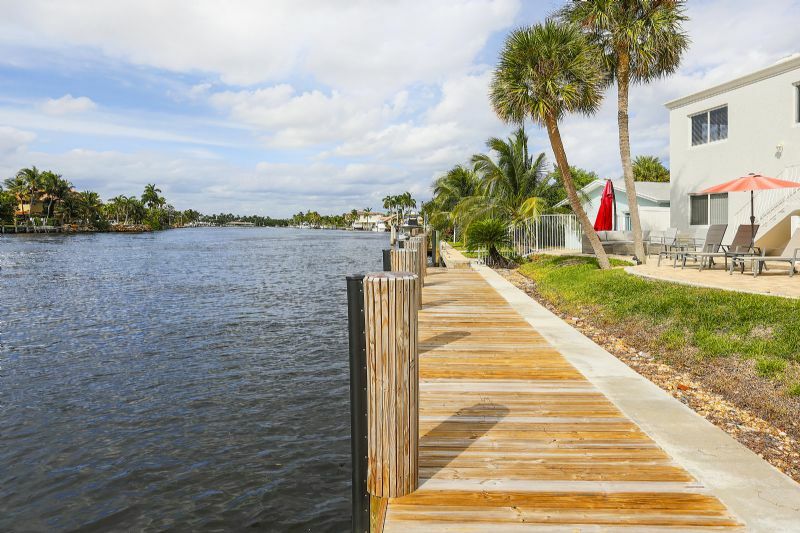 Private dock access is included for boating needs. 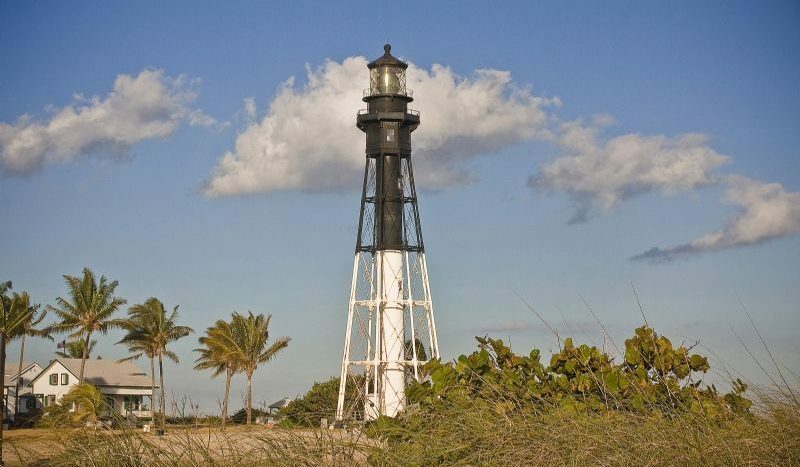 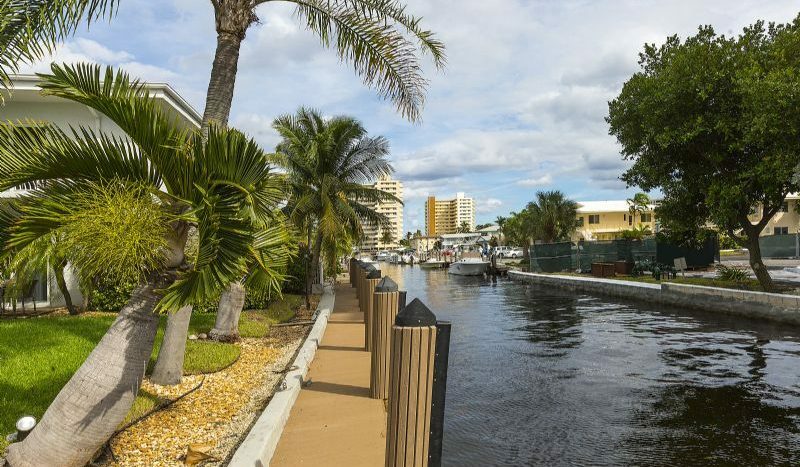 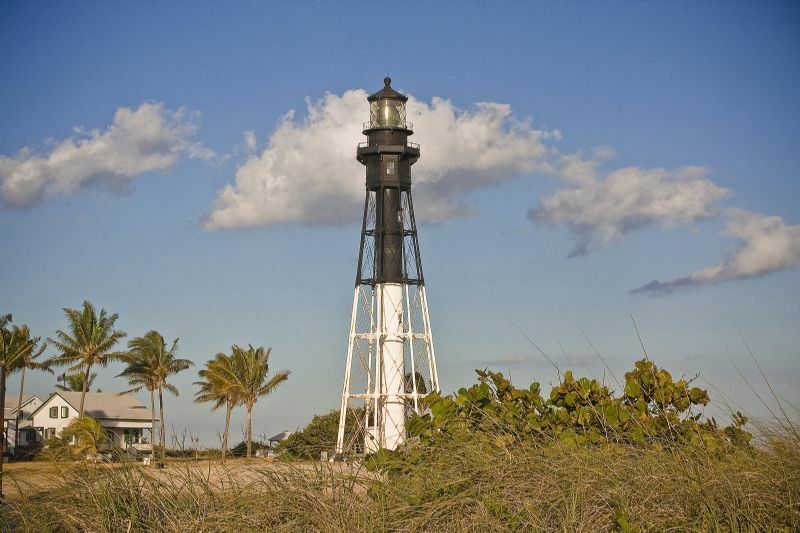 Pompano Beach is famous as “The Heart of the Gold Coast” and is known for its central location between Palm Beach and Miami. 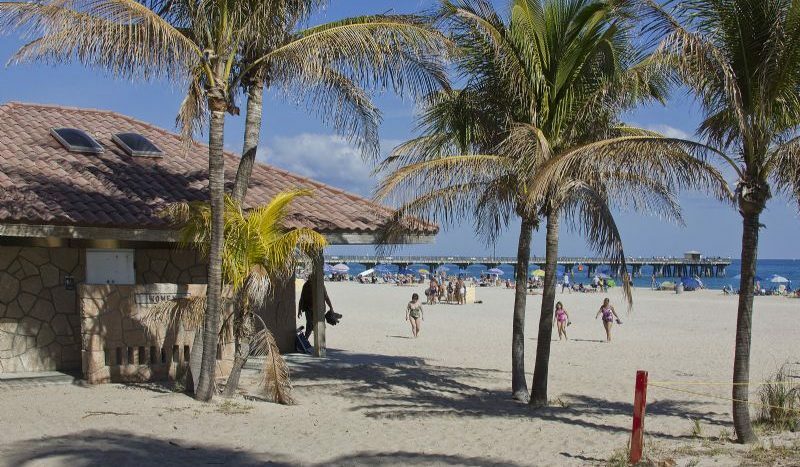 This seaside town offers convenient and easy access to every adventure that a visitor would come to South Florida for, including magnificent tropical beaches that host scuba & snorkeling, boat and watercraft rentals, fishing and much more. 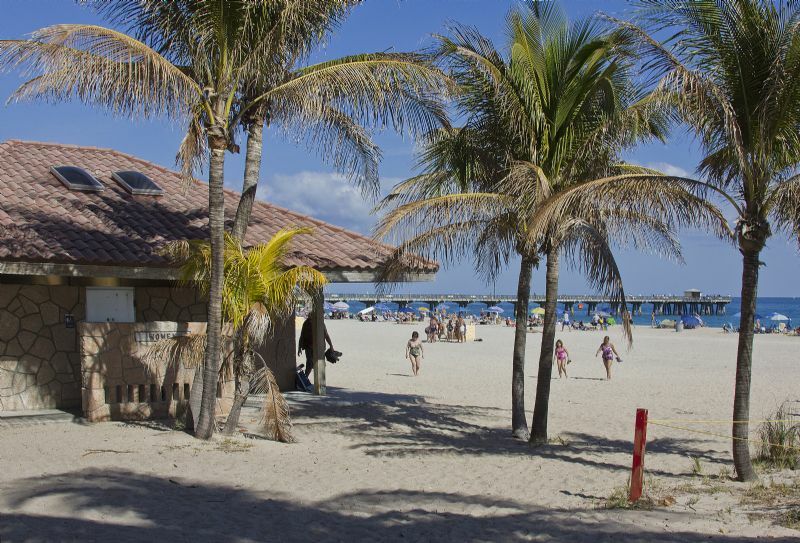 The town features an iconic 1,000 ft. municipal pier that is noted for sightseeing, as well as over 50 local parks perfect for families and children. 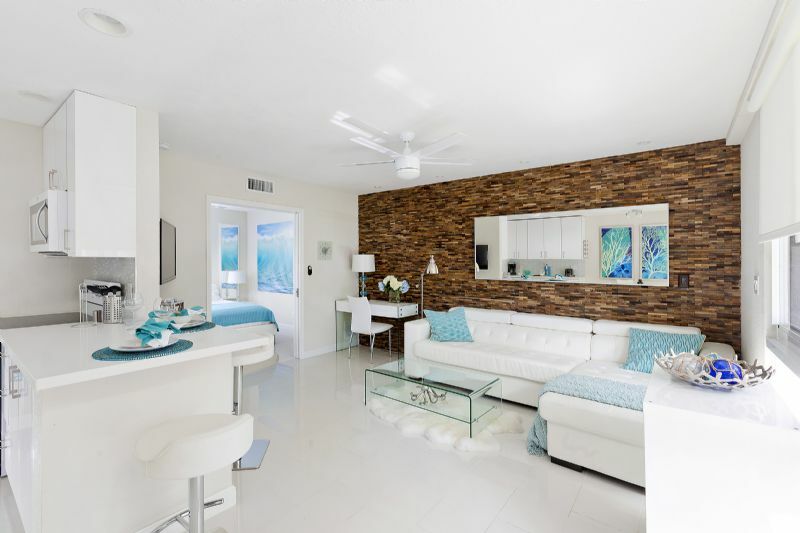 Add in a breathtaking variety of dining, shopping, entertainment and nightlife options, and you have all the ingredients for a magical getaway destination!